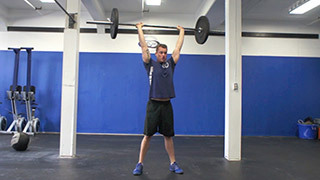 start in a standing position with your feet shoulder width apart while holding the barbell in the front rack position. 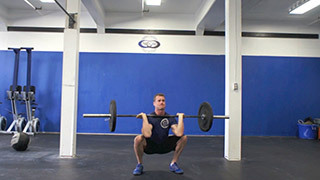 Lower yourself into a front squat position making sure to keep your back upright, your elbows up and your eyes forward. 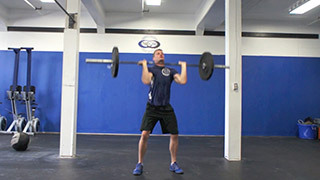 Stand back up, driving through your heel and press the bar up overhead once you have fully extended your hips and knees.